Pakoda in 15 minutes? ?..Some might be thinking how it is possible. Yes it is true and is possible. There is no need of baking powder or no need of keeping the batter for long hours. Trust me, its too simple and tasty. 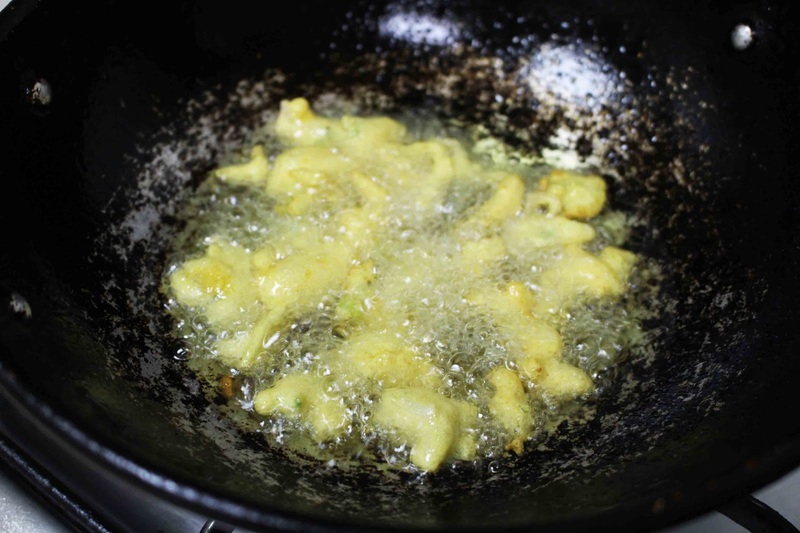 Just heat a wok with oil first, wash cut and mix the ingredients to a required consistency and then drizzle the batter in medium hot oil. You will get a fluffy, crispy soft pakoras for sure. Crispy crunchy soft pakoras is always a mouthwatering spicy snack savour with a nice cup of tea or coffee. Pakoda, which is also called pakora, pakodi, ponako, is a fried snack originated in India. Pakoras are basically Indian fritters made with gram flour. It is used as a starter snack in most of the Indian parties. And is one of the popular Ramadan snack too. 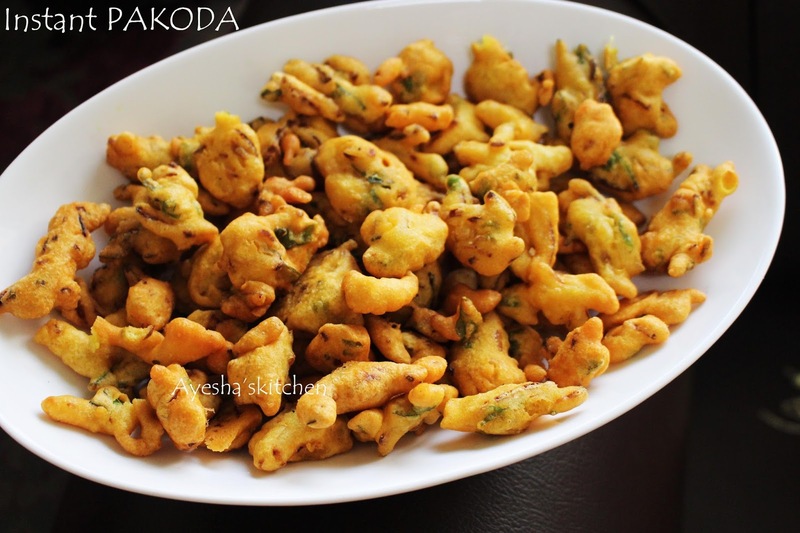 Due to its ease in preparation, pakoras / pakoda has become a common ifthar snack during Ramadan. It goes well with imli chutney or spicy tomato chutney. But i love to have with tomato ketchup only. There are lots and lots of varieties in pakoda like onion pakoda, potato pakoda, veg pakoda, cabbage pakoda, chicken pakora, fish pakora, paneer pakoda and so on. 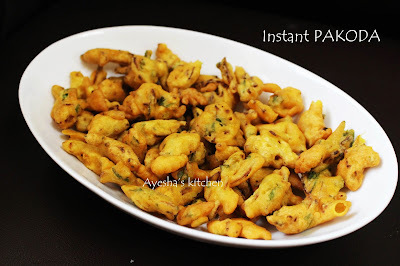 Here is the recipe showing how to make Instant pakoda .Do try and enjoy cooking. Firstly, heat a deep bottomed wok and add oil. Keep the flame to medium. Meanwhile make the batter ready. Take a bowl and add the chopped onion, chilies, coriander leaves, curry leaves, chili powder. Crush it well with hands and add salt. Always add less salt to snacks. Now add the gram flour / besan to this mixture and mix it well with your hand along with some water. The consistency must not be too thick or too thin. It should be thinner than idly batter. Check the picture for the consistency. Now the next step is very important. Make sure that the oil is medium hot. Either you can take a small spoon for dropping the batter to the hot oil. 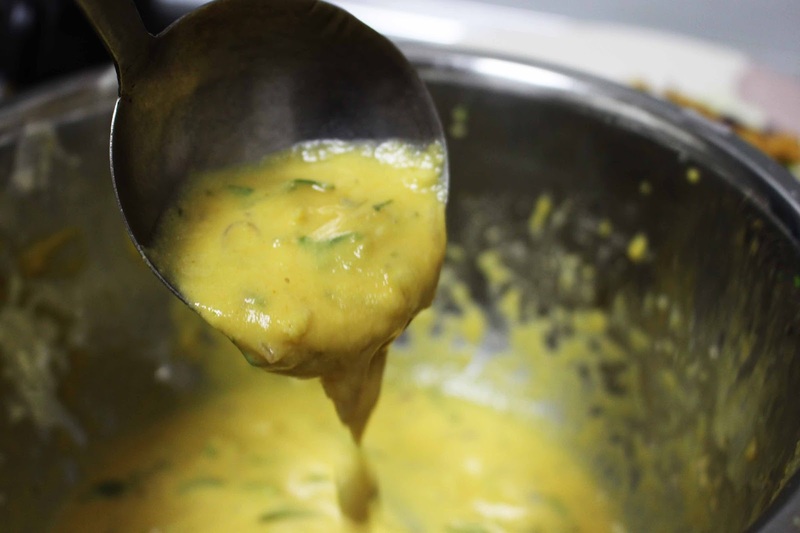 Or just as i do, scoop the batter with your hand and drizzle or sprinkle the batter to the hot oil with your fingers. You can then see the batter is fluffing up in the hot oil immediately. Saute it continuously with a spatula and when it become golden and crispy, transfer it to a plate. Serve hot with green tomato chutney or imli chutney or tomato ketchup.